Gulf Shores and the surrounding State Parks are have numerous back-bays and rivers, there is a variety of popular outdoor activities and fresh seafood. Orange Beach has numerous public parks and lays claims to the largest charter-fishing fleet in the Gulf of Mexico, with miles of white-sand beaches. 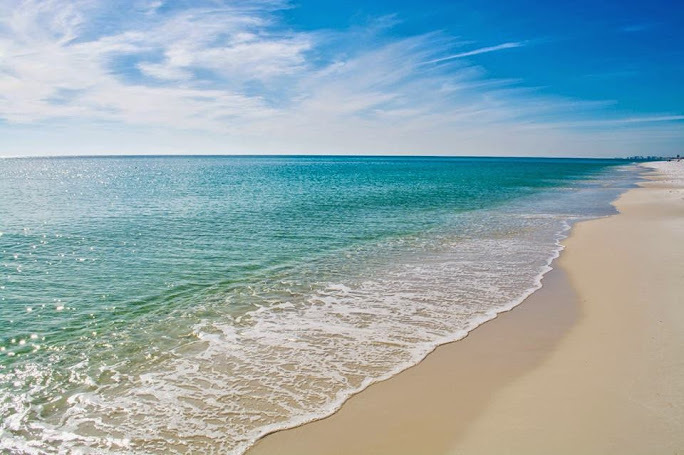 Perdido Key includes the pristine Gulf Islands National Seashore & Perdido Key State Park, providing an variety of outdoor activities and sugar-white beaches. Destin, on the popular Emerald Coast, has a mild climate, white-sand beaches, emerald waters, golf courses, many outdoor activities and more. Panama City Beach is a popular beach destination on the Florida Panhandle, known for the sugar-white beaches & emerald waters.